Have you ever had a shepherd’s pie? If not, you’re missing out. 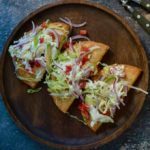 We’ve got a from-scratch authentically-made recipe that you’ve really got to try! 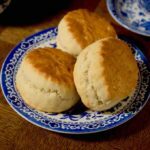 But first, let’s talk about the history of one of Britain‘s most beloved dishes and why it’s so adored by the English and non-English alike. 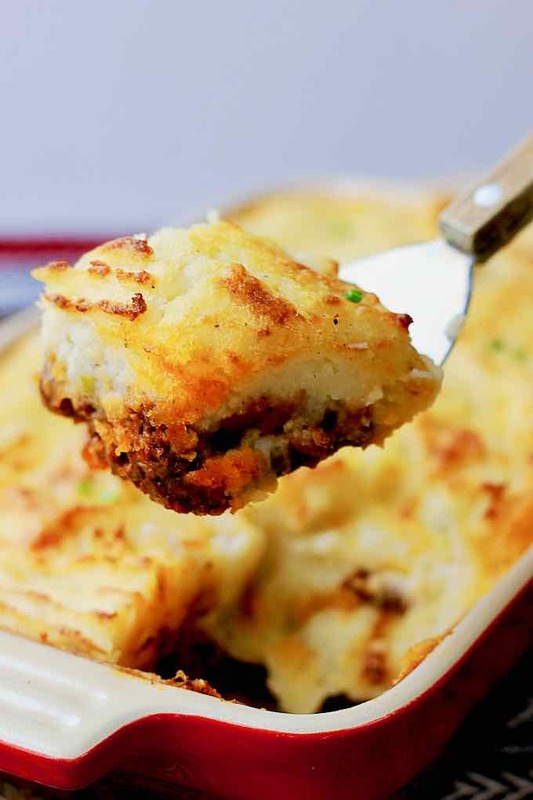 What is the origin of shepherd’s pie? Shepherd’s pie first came about late in the 1700s and early 1800s. Accordingly, housewives back then were on the frugal side. 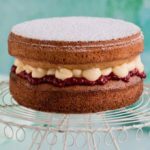 Much like we do today, they were looking for ways to incorporate those leftovers that husbands and kids would turn up their noses at. The struggle was real back then just like today. Shepherd’s pie, common and inexpensive British dish originated from the sheep country in Scotland and northern England. It is a homely thing in one or another sense of the word, depending on your point of view. The coziest comfort food on a wintry night, shepherd’s pie in different guise. Comfort comes from fresh ingredients selected for the very purpose of assembling the pie. Originally, shepherd’s pie was made from chunks of meat, probably leftover from a roast, as mincing machines weren’t invented until the 1870s. 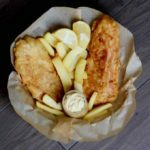 The dish as we know it, though, couldn’t have originated before potatoes became generally accepted in the UK, which wasn’t until the end of the 1700s. Before that, the dish or a very similar one was made in Scotland, but topped with a pastry crust instead of mashed potato. The name for the dish appeared in the 1870s. While shepherd’s pie certainly came about as a way to put those leftovers to good use, the results were delicious. Recipes vary widely but have the same basic structure. There’s a crust of mashed potatoes on the top and bottom. Inside, there’s minced meat. The meat is simmered in a gravy of onions and other vegetables like celery, carrots or peas, sometimes all of these. 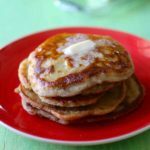 The result is something comforting and delicious that will warm you from the inside out. So while the history of this dish is anything but mystifying, it is something that Irish and English cooks like to put their own unique spin on. Like anything else, it’s fun to try out different seasonings and vegetables. And just like everyone makes mashed potatoes in their own way, the whole thing can be an incredibly diverse experience. 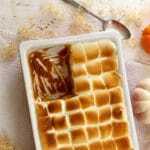 What is the difference between shepherd’s pie and cottage pie? Originally, a pie made with any kind of meat and mashed potato was called a cottage pie. In modern British English, the dish is usually called “cottage pie” if it is made with beef. If it is made with lamb, it is usually called “shepherd’s pie” (because a shepherd looks after sheep). Both have mashed potatoes on top, and occasionally on the bottom as well. The name “cottage” was applied to this kind of meat pie around the time potatoes were being introduced in the UK, because they were an affordable thing to eat for peasants, many of whom would live in cottages. 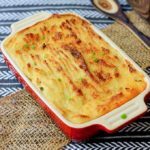 The term “cottage pie” predates “shepherds” by nearly a century, but each was used synonymously with the other for a long time. 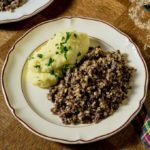 According to the Oxford Companion to Food, Scotland used to make its shepherd’s pies with pastry instead of mashed potatoes. 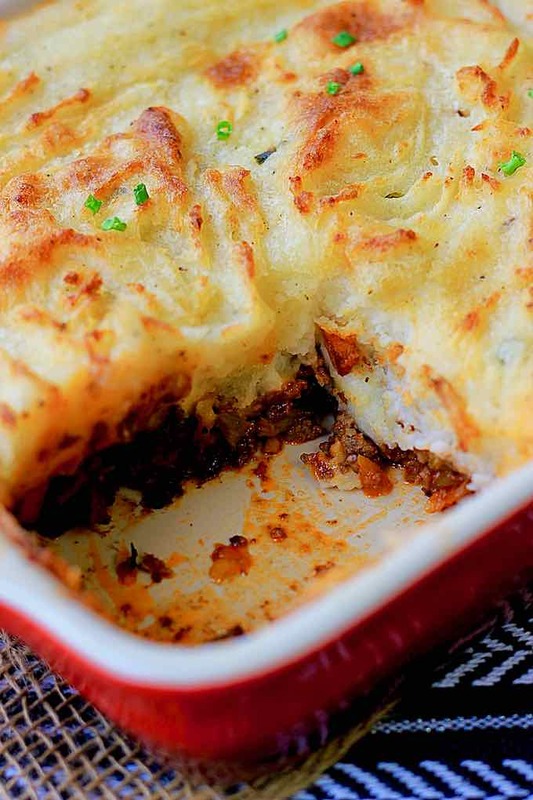 This version of shepherd’s pie calls for ground lamb, readily available in most supermarkets. If you have a tight relationship with your butcher, ask them to grind it fresh. This pie was actually created as a way to use up leftover lamb, probably over a century ago. 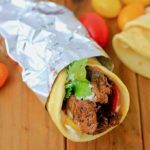 It is completely worth making even without leftover lamb. What are the variations of shepherd’s pie? The recipe has many variations, but the defining ingredients are minced red meat, cooked in a gravy or sauce with onions and sometimes other vegetables, such as peas, celery or carrots, and topped with a layer of mashed potato before it is baked. The pie is sometimes also topped with grated cheese to create a layer of melted cheese on top. 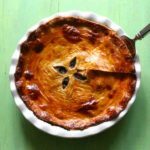 The modern Cumberland pie is a version with either beef or lamb and a layer of breadcrumbs and cheese on top. 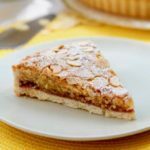 In medieval times, and modern-day Cumbria, the pastry crust had a filling of meat with fruits and spices. In Quebec, a variation on the cottage pie is called pâté chinois. It is made with ground beef on the bottom layer, canned corn in the middle, and mashed potato on top. 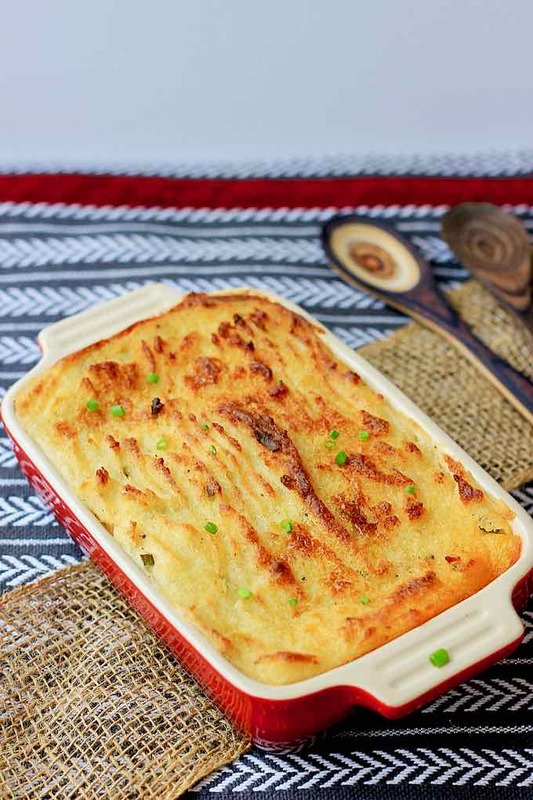 The shepherdess pie is a vegetarian version made without meat, or a vegan version made without meat and dairy. In the Netherlands, a very similar dish called philosopher’s stew (Dutch: filosoof) often adds ingredients like beans, apples, prunes, or apple sauce. In Brazil, a dish called escondidinho refers to the fact that a manioc purée hides a layer of sun-dried meat. The dish often includes cheese, and chicken or cod are sometimes used instead of beef. In France, hachis Parmentier is what comes the closest to shepherd’s pie. Hachis Parmentier used to be prepared with mashed baked potatoes that were combined with diced meat and sauce lyonnaise (a French sauce of demi-glace, white wine, vinegar and onions) and served in the potato skins. However, the modern version is exactly the same as a shepherd’s pie or a cottage pie. 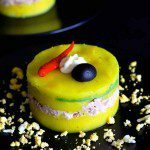 This traditional French recipe was invented by Antoine-Augustin Parmentier, a French pharmacist and nutritionist, in the late 18th century. The best recipes for shepherd’s pie keep things simple and season the dish with abandon. If using an herb, stick to one and choose a lot of it. Forego false finery and choose good organic sourced ingredients. The mashed potato on top should have lots of butter and milk in it. Ideally, they’re not mashed too smoothly. The dead of winter is much more tolerable when you a make a mood-lifting dish like Shepard’s pie. But really, it tastes just as great any time of the year! Shepherd's pie is a traditional British dish, made from lamb or mutton and mashed potatoes that is similar to French hachis parmentier. Cook the potatoes with their skin in a large pot filled with slightly salted boiling water. Once cooked, drain and peel. Purée them with a potato masher. Meanwhile, in a small saucepan, heat the milk until boiling. Gradually add the milk to the mashed potatoes and whisk everything. Stir in the butter while whisking. Season with nutmeg, pepper and salt. In a large Dutch oven, heat 3 tablespoons of butter and brown the onion over medium heat for 2 minutes, stirring regularly. Add the carrots and celery. Mix well. Add the thyme, tomato paste, ketchup and flour. Season with salt and pepper. Mix well. Cook on low-medium heat for 5 minutes, stirring regularly. 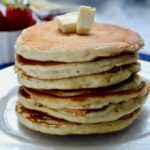 In a large skillet, heat the remaining butter and cook for 10 minutes over medium heat, stirring very little so that the juice does not evaporate. Add the meat in the vegetable stew and add the red wine gradually. Mix well. Add the Worcestershire sauce and all the juice of the meat. Mix well. Pour all the mixture into a baking dish, spreading evenly and refrigerate for 1 hour. Remove the dish from the refrigerator and gently cover the meat with the mashed potatoes. Spread evenly and, using a knife, make regular shapes on the top.